(Newser) – A Pennsylvania man has been jailed for stealing a $4.49 bottle of Advil because it was the 12th time he's been convicted of shoplifting, the AP reports. 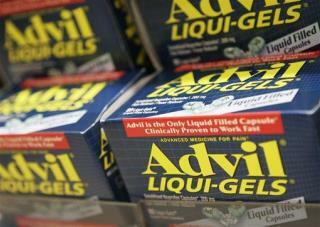 A Lancaster County jury convicted 51-year-old David Springer in June of taking the Advil from a Giant store last year. He was charged with a felony because of numerous retail theft convictions. if someone makes a mistake of judgment and steals ... they deserve a chance to learn from their mistake and move on... if someone can not learn from their mistake then the system has to move from giving a chance to punishment. four months for a petty theft seems harsh... but if he is being caught this often... he is stealing a lot that is not getting caught.. he has never learned his lesson and he deserves everything he gets. and the next time he gets caught... I would expect the time to go up significantly cant do the time... dont do the crime. funny and the CEO's of Bayer in the 1980's when they knowingly sold medicine that gave HIV to an unnamed number of people in poor countries didn't spend a single day in jail. Guess he never learned from the first 11 times.